Corps members work together to make and distribute scarves and hats. 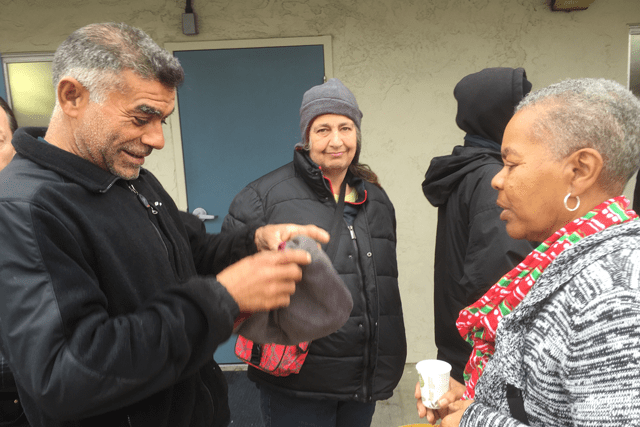 The Salvation Army San Jose (California) Temple Corps helps community members stay warm during the cold months, providing scarves and hats with a special quality—they are homemade by corps members. The corps distributes them to individuals experiencing homelessness and to residents at nursing homes, senior centers and the blind center. During the 2017 Christmas season, the corps gave out about 400 scarves and hats. 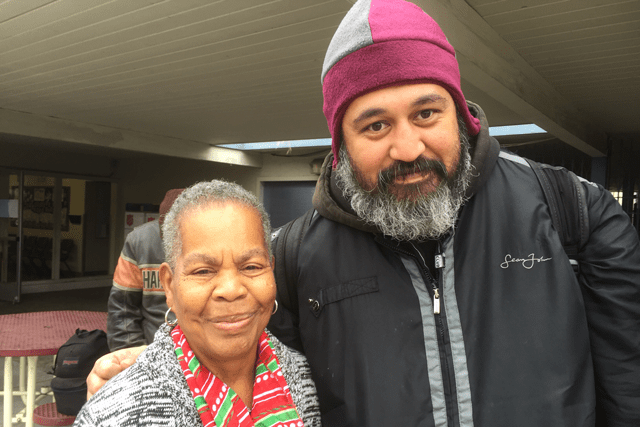 “A little love, encouragement and support can change a community,” said Corps Officer Captain Jasiel Tumale, who oversees the enterprise. The project fulfills several corps’ goals: it serves the community, it utilizes the skills of corps members and it saves money. It began in 2012, when Tumale was looking to reduce the cost of Community Care Ministries (CCM) Christmas gifts. She realized the answer was under the corps’ own roof: the corps members had the ability to make the gifts themselves. The Home League members sew the scarves and hats while the CCM members donate fabric and handle the distribution of the completed gifts. The women gather in Tumale’s office on Sunday afternoons while their children participate in youth programs. The men occasionally help, too. The project impacts the giver as well as the receiver. “I can imagine the joy of the women contributing to their community, [who are] at the same time proud of what they do,” Tumale said. Home League member Maria Aguilar has participated since the project began. She tirelessly supports the endeavor, bringing family and friends to help make the scarves and hats. “It was a great experience, and I would like to do it again and keep supporting,” she said. CCM Secretary Polly Ma noted what it can mean to receive a homemade gift. Ma expressed gratitude for being part of a collaborative effort, as did Barbara Wilson, who participated for the first time in 2017. ““I am happy to be part of the team, witnessing the gestures and appreciation of every person receiving the gift,” she said.